For today's card I decided to create a background for my card by embossing a jumbo dahlia on my watercolor paper and painting it using watered down distress inks. Half way through painting, I decided it wasn't quite what I wanted so I used a baby wipe to "mop up" some of the ink and then add new layers. The result was pretty cool with different shades of purple and pink making up the petals of this flower. My dear Esther, this card is amazing! I just love the bright colors and the detail is perfect. Super stamping and inking and a really striking floral creation, many thanks for sharing with us at Stamping Sensations challenge and for being spot on with the colours from the inspirartion. Totally gorgeous water colored background, it makes your bright flower stand out beautifully. Hi Esther! Your stamping and embossing are amazing, and this turned out beautifully. Great job. Thanks so much for joining our challenge. We love having you play along. There's a fun Blog Hop taking place on the 13th, and I hope you will join us for that as well. Hey Shoregirl... this is A-1 "on trend"! Ummm, I need that stamp... and then I need to copy you exactly. This is awesome. Love your colors and design. Thank you for sharing at SOS. I have some of the large Stampendous images & haven't ever used them. You've inspired me with this beautiful card! A gorgeous creation, Esther! You have captured the colours for our challenge perfectly! 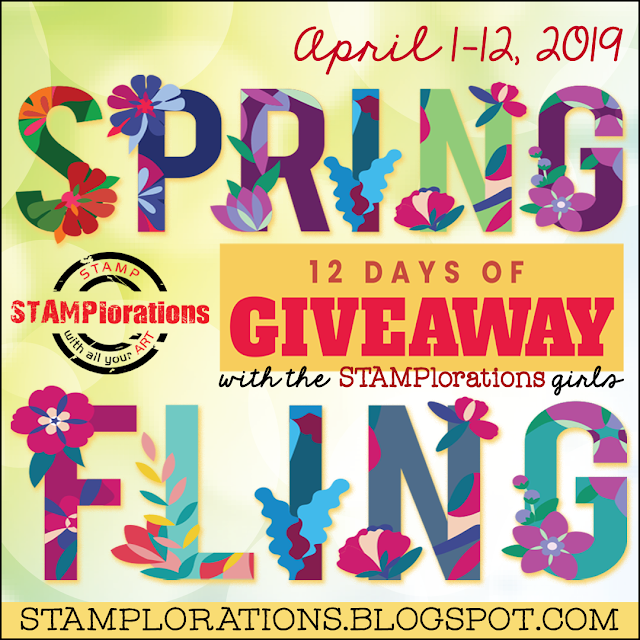 Thanks so much for joining us at stamping Sensations this month and good luck! Beautiful, I totally love the colors you achieved with the baby wipe, pretty white embossing for the base! Don't you love it when the unexpected turns into something so wonderful! Your colors are gorgeous and the combination is so bright and happy. Love it! Thanks so much for playing along with us at Little Red Wagon Challenge this week! A lovely card Esther and a perfect interpretation of the colour challenge at Stamping Sensations. Thanks for joining us.